I have a small obsession with this pattern. As blogged about HERE, HERE, and HERE. So, I like to find ways to change it up a little so it doesn't look like I am always wearing the same top. For this remix I cut the bodice front on the fold as one piece so there would be no slit. I then gathered two long rectangles of fabric to make the ruffles. I cut one rectangle 3 inches by twice the width of the bottom hem and another one 4 inches tall by twice the width of the bottom hem. I used my serger to gather the ruffles and attach the two ruffles together prior to attaching it to the bottom hem of the shirt. For the neckline I serged the raw edge and then ironed it toward the wrong side. I then stitched the hem down. 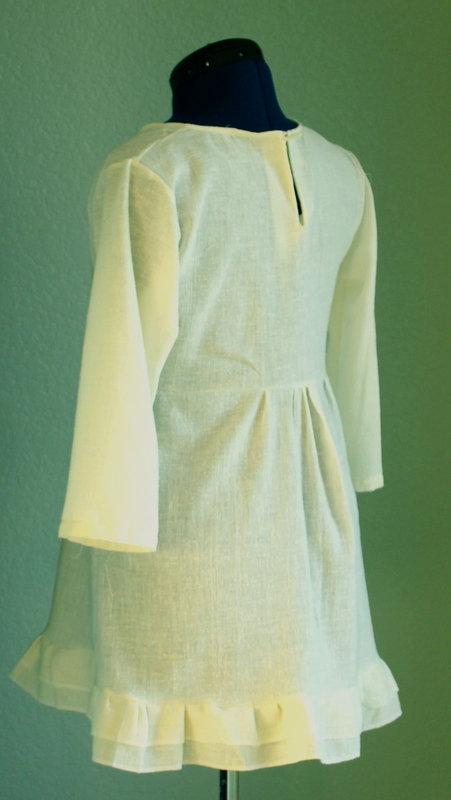 I also put in a slit in the back neckline and used a button and elastic loop closure. There is a great tutorial for how to do that at CINO. And I also omitted the pleats and gathered the fabric in the center front and back of the body instead. With the gathering, I do think I look pregnant without a belt on, but that being said, it will make a great maternity shirt one day! I adore the ruffles on the bottom. How nice it must be to just make your own clothes….I must learn to sew!! You look adorable….by the way! 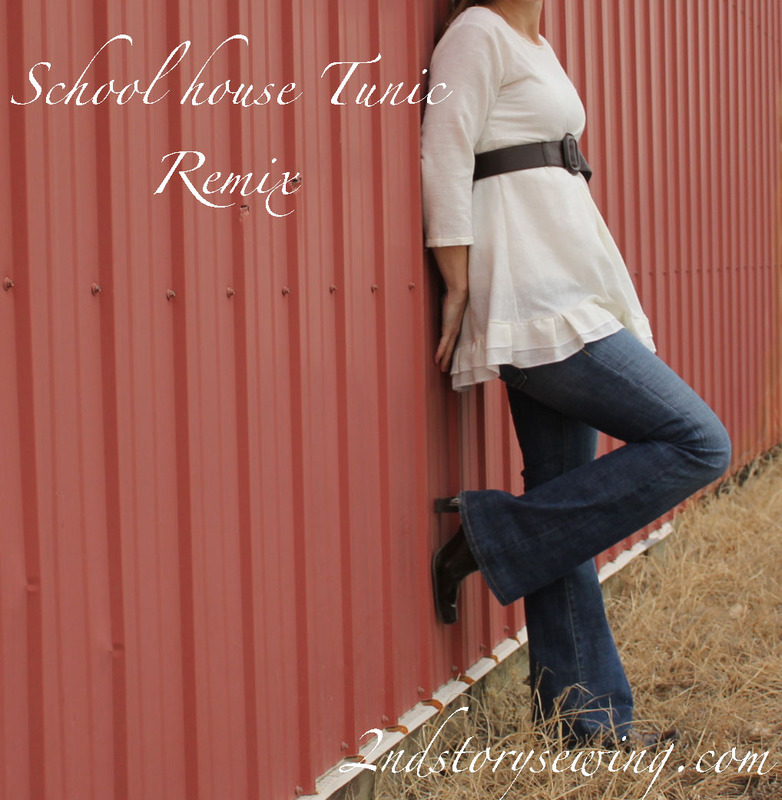 This is a really cute take on the schoolhouse tunic. I am sooo tempted to buy that pattern, but my mind has been completely destroyed by the pattern sales at Joann's and Hancock's. I'll wear down eventually, I'm sure! You did a lovely job! I hear ya...it took me a long time to commit to buying it, but I have gotten really great use out of it- I would say it was well worth the money! Love it! I am going to check out that pattern right now! This is so cute! Love how you re-vamped the schoohouse tunic. it is seriously one of my all time favorite patterns! What a great remix. That turned out great!